Fluency First! 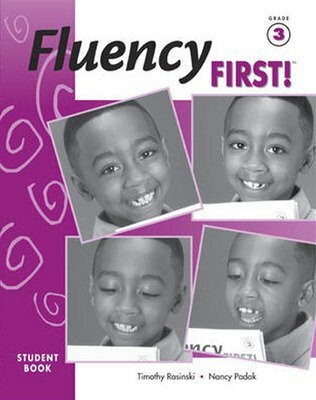 provides fluency instruction for an entire year and only requires about 10–15 minutes per day of whole-class or group instruction to realize gains in reading fluency. It utilizes a wide variety of fiction and nonfiction text selections to help your students read accurately and automatically, with meaningful expression and good comprehension. 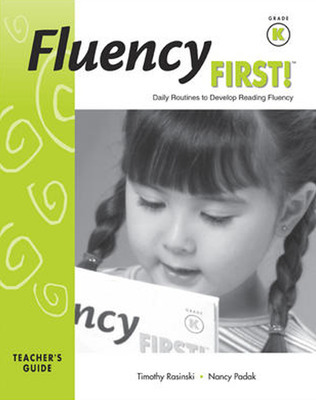 Program authors and Kent State University professors Dr. Timothy Rasinski and Dr. Nancy Padak based Fluency First! on the Fluency Development Lesson (FDL), cited by the Report of the National Reading Panel, 2000, as an effective instructional model. Fluency First! 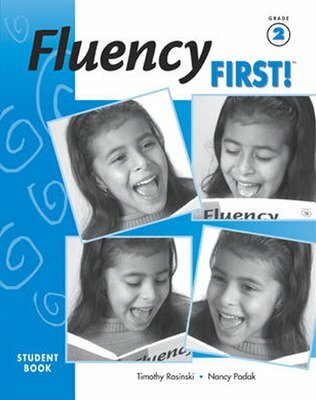 is a K–3 scientifically researched fluency program that can be integrated into any literacy curriculum. 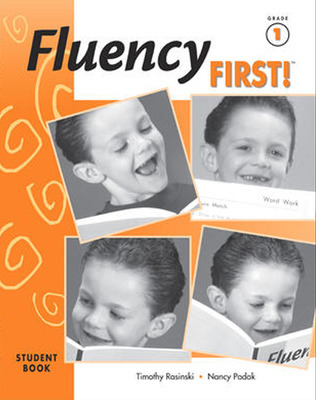 All Fluency First! lessons are fast-paced 15–20 minute instructional routines. They are organized for a yearlong program in grades 1–3 and half a year for kindergarten. At the heart of Fluency First! are repeated and monitored readings of high-interest text to promote mastery of fluency, word recognition, and comprehension. Research shows fluency is best achieved through assisted repeated readings. Repeated readings are best implemented with passages that are meant to be performed orally. Fluency First! contains passages that were expressly chosen for their performance quality—these passages lend themselves directly to oral, interpretive, and expressive reading. 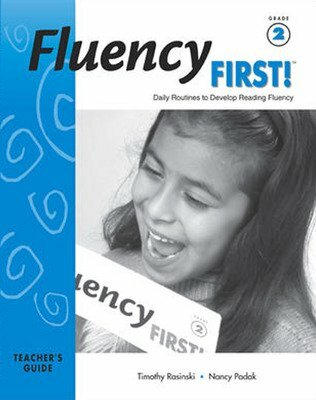 A reading fluency program benefits students when it begins early on, is practiced daily, includes passages that instill a love of reading, and features both repeated readings and performance opportunities. 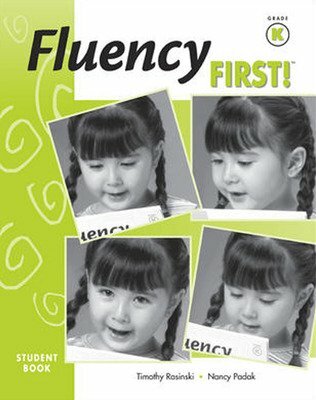 Fluency First! increases fluency skills with an emphasis on prosody, which nurtures comprehension for K–3 students. Teacher Guides include detailed lesson plans for each student selection with additional related selections. 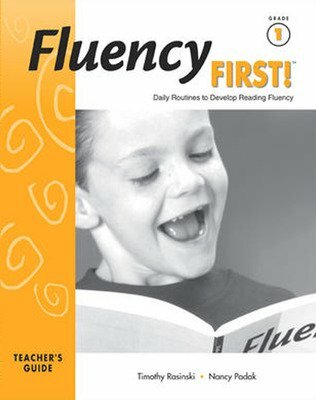 The Fluency Development Lesson (FDL) is introduced with detailed implementation plans for the teacher. Specific activities for each passage are suggested to build skills in reading fluency, word recognition, and comprehension. Student Books contain high interest brief reading selections (poetry, prose, and song lyrics) that are fiction, nonfiction, traditional, familiar, new, and contemporary selections. Student Books are consumable and include 72 passages with a corresponding activity sheets for each passage. These activities extend the skills and strategies taught in context of the selection. One audio CD provides models of oral reading for each passage. Two readings by two different voices modeling a variety in pacing, volume, intonation, and expression are included. Transparency Sets in 2 colors help teachers introduce the selection to the whole class or small groups. Students follow along during choral reading experiences.